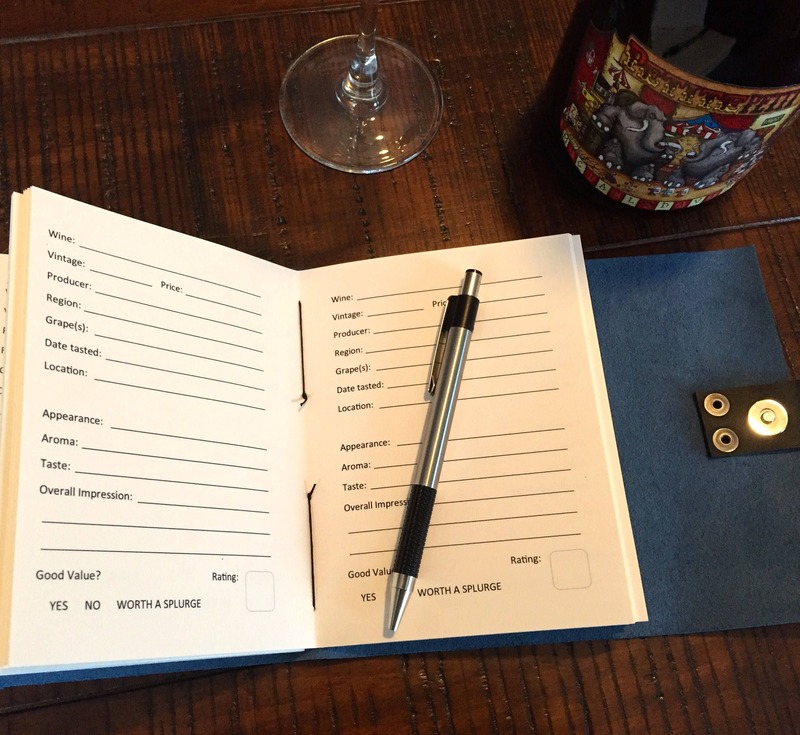 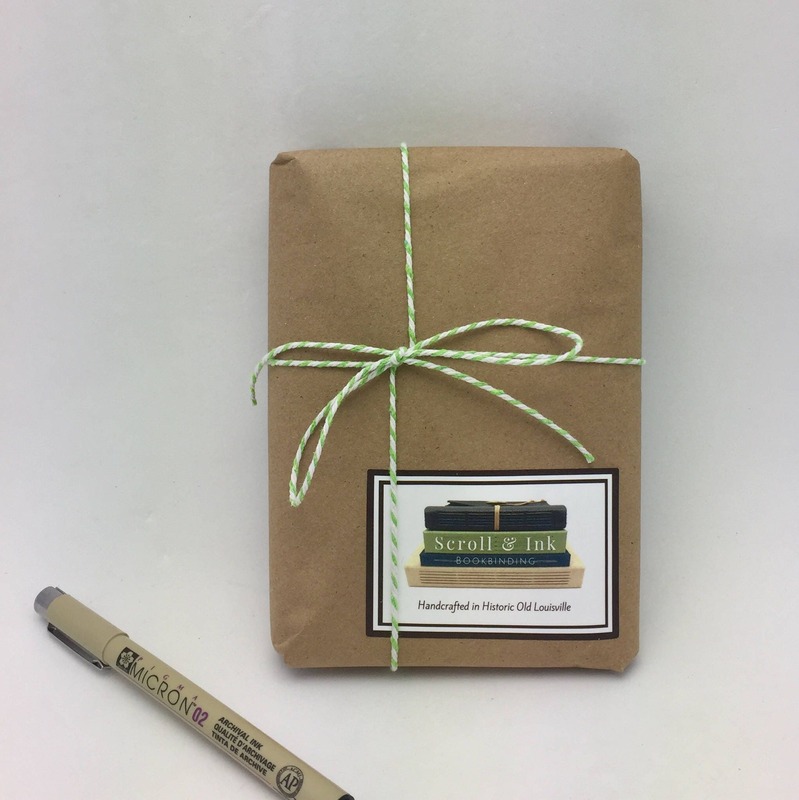 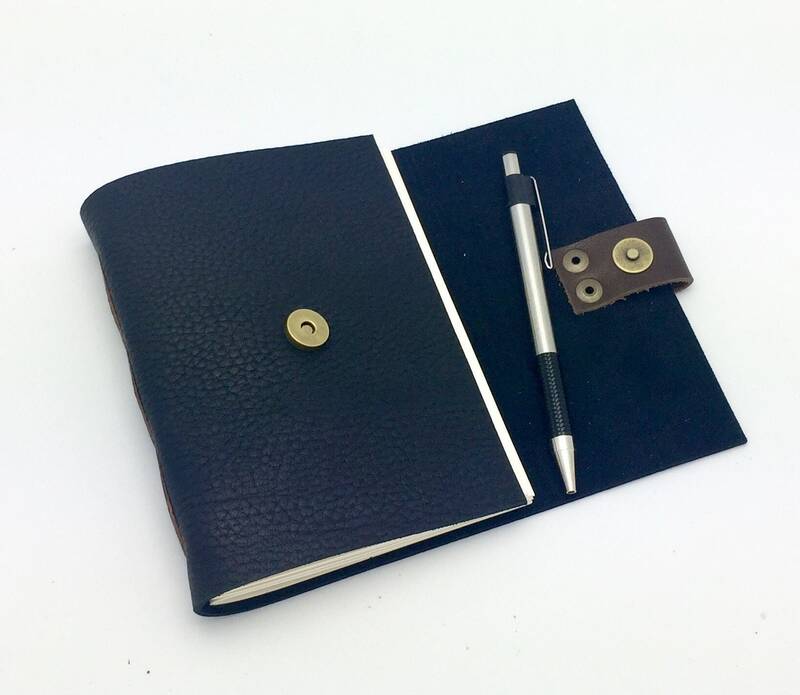 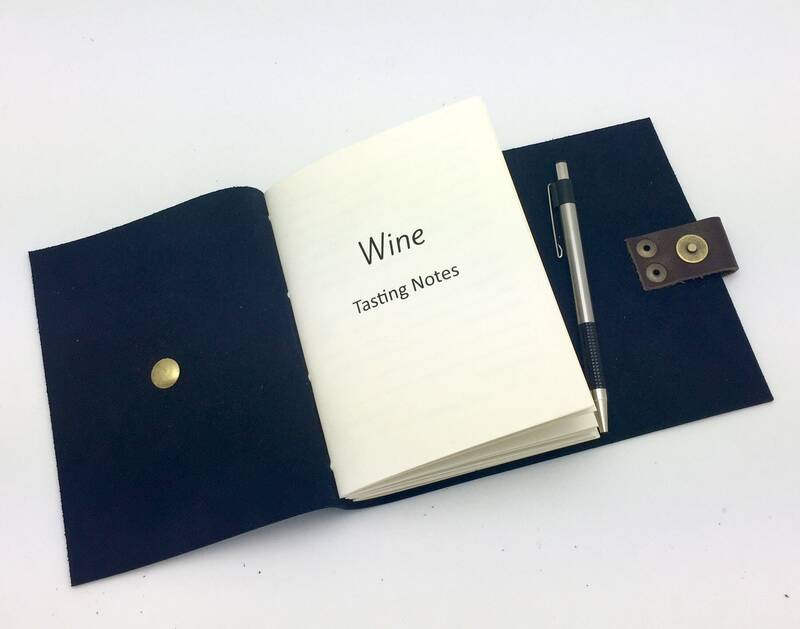 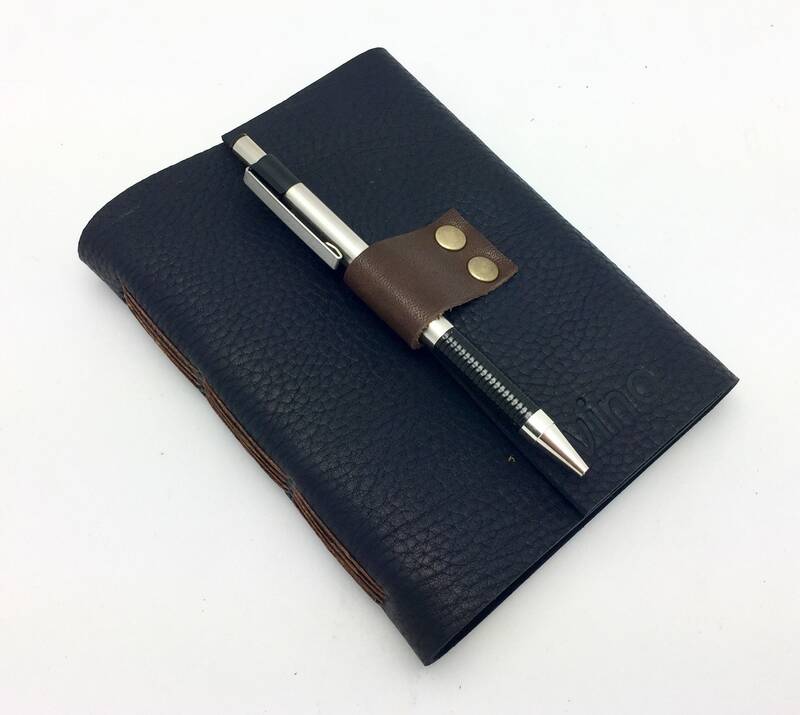 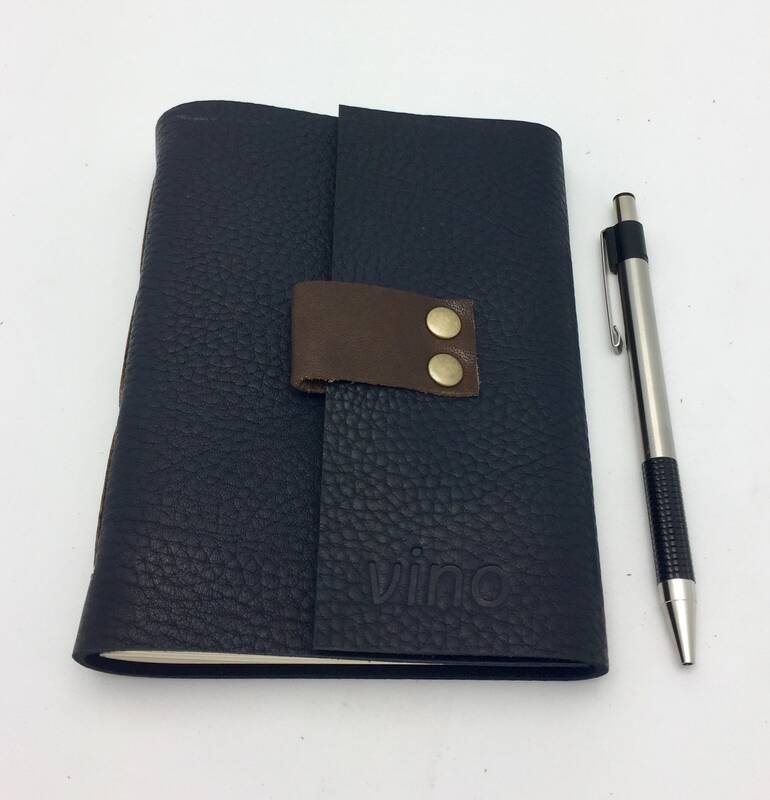 This classy notebook is covered in a thick dark navy pebbled leather. 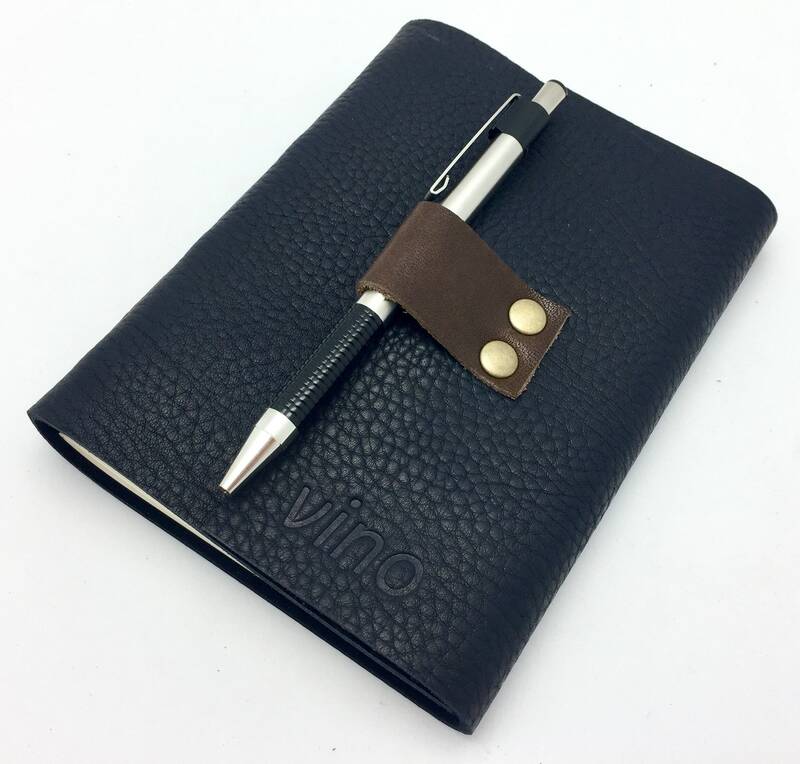 It’s accented with brown leather and antique brass hardware. 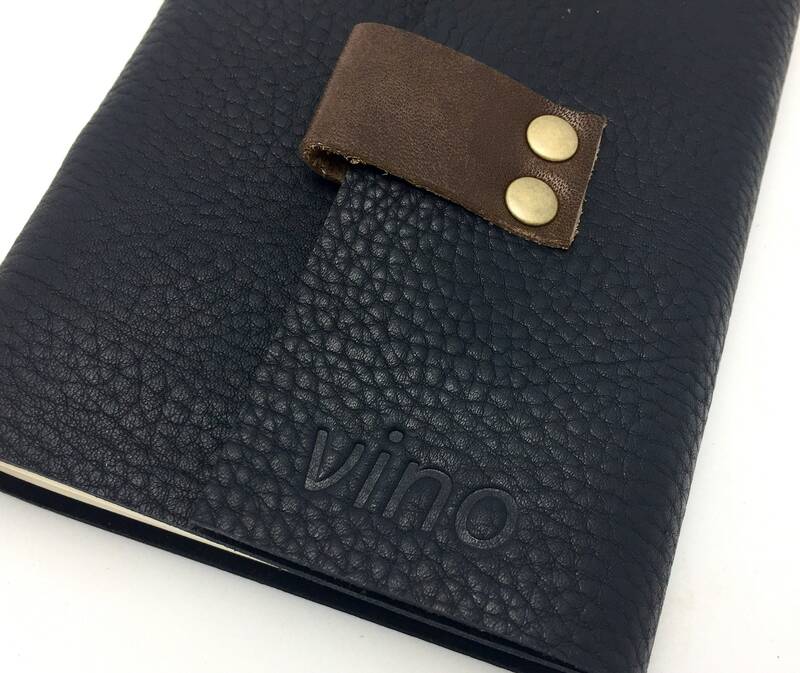 This leather is buttery to the touch - absolutely beautiful! 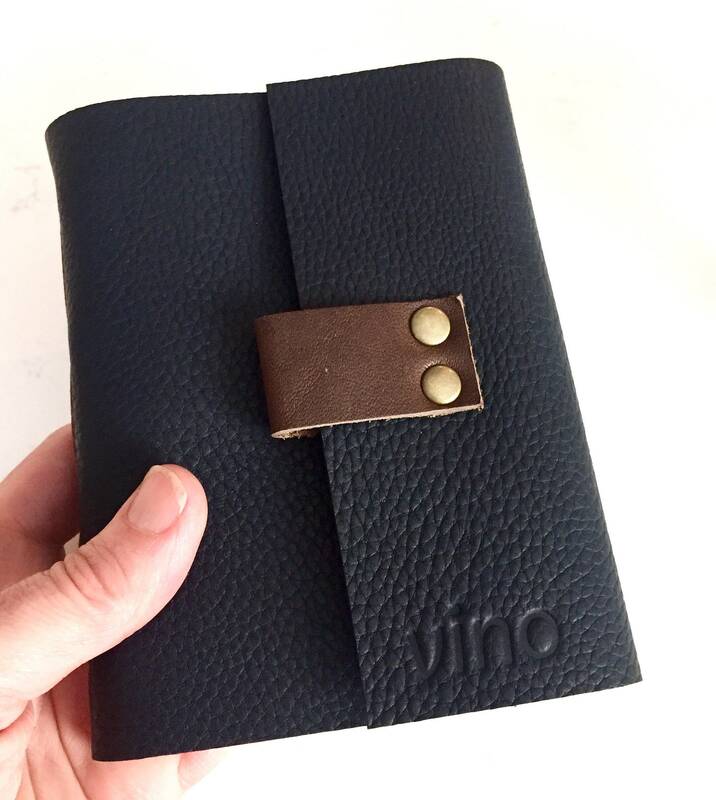 The word “vino” is blind stamped (meaning without color) on the cover by hand.